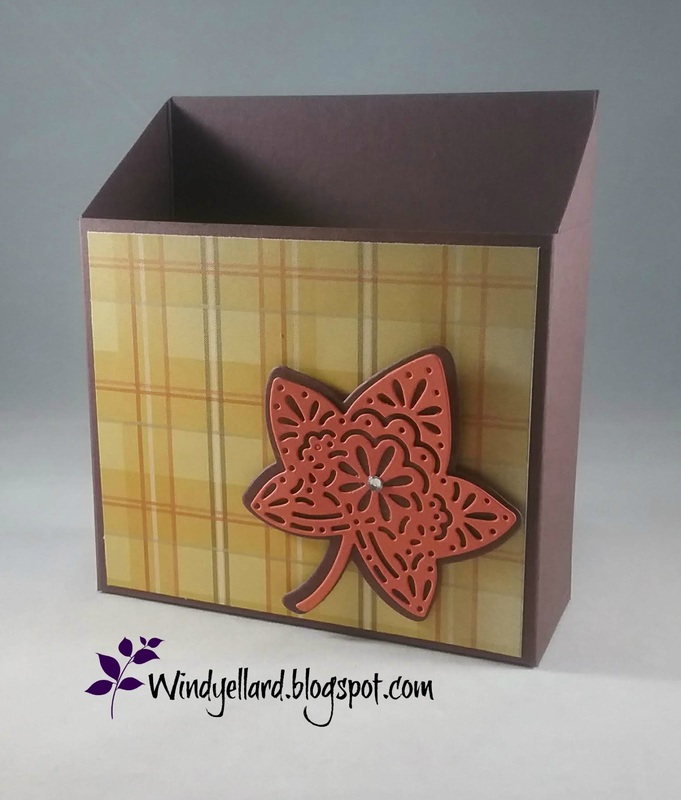 I bought to use with the Tin Tile folder as part of this suite. 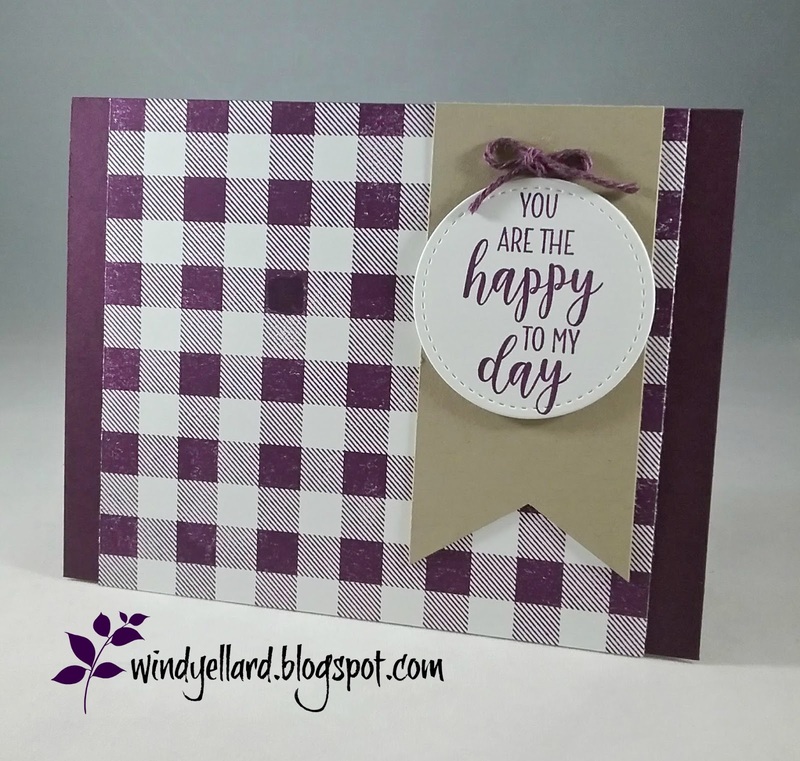 I placed the wood print on the white base from the Country Lane DSP. stamped in Early Espresso and the Country Home set. I do not use Bouquet Blooms enough. Cute set and dies! I grabbed it when i saws the circles for this sketch. Mango Melody, and bottom in Calypso Coral. I added the sentiment in memento Tuxedo Black. but they looked yellowish so on they went! for a while til I thought of DSP as the three panels. card stock with a strip of Old Olive behind. I layered all those on a Old Olive base. I cut the DSP at 1 1/2" by 4 3/4" pieces. white oval. I also punched a few Old Olive leaves. I love the fall colors and the sketch. Hope you can play along, too! it makes it so much easier to make and decorate. I cut the DSP at 6" by 7"
I scored on the 6" side at 2", 2.75", 4.75", 5.5"
I scored on the 7" side at 1"
which is open on top. I cut a piece of Very Vanilla 2" by 3"
I ran some gold twine around and tied with bow. It will make it easy to get in and then close again. 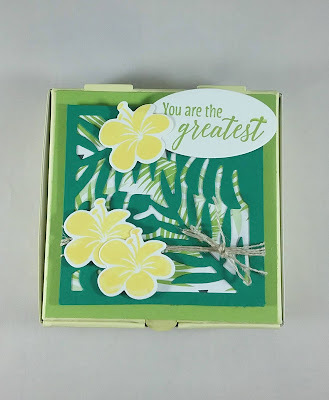 from the Tropical Chic set and cut with matching dies. a little Shaded Spruce on them and cut with the dies. 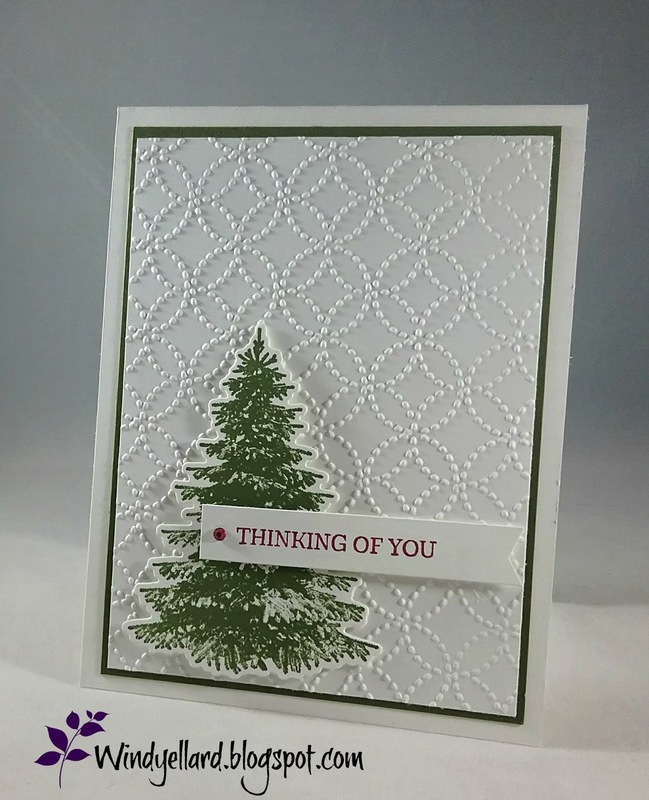 I cut the long leaves in Shaded Spruce card stock. I hope you can make some too! 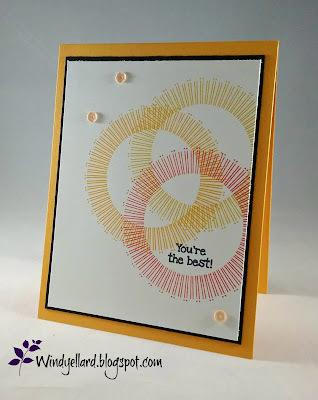 When I started this card I was not sure what my layout would be. and decided I wanted to do something different with the colors. and adding some Grapefruit Grove ink washed over it. I layered it over to the Mint Macaron base. and spread them out over the background. plus I placed some twine bows on the bottom of the stems. I cut them all out with the matching dies. 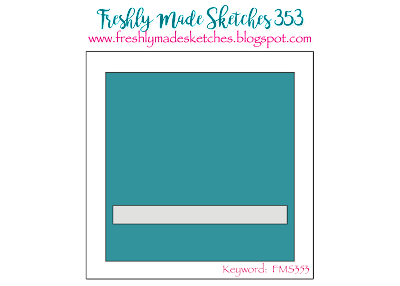 stamped in Bliss ink on a white banner. these prints in the Country Lane DSP. 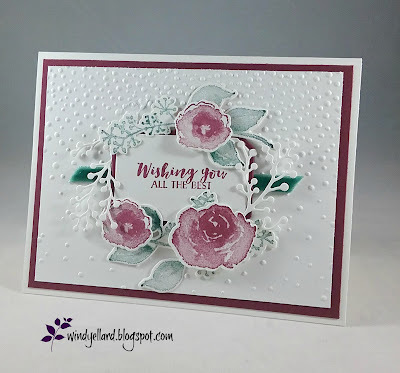 all on a piece of Blackberry Bliss card and then a white card base. on the stitched white circle in Blackberry Bliss ink. 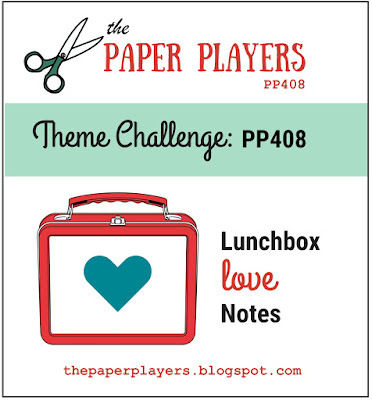 Hope you can play along this week and thanks for stopping by! 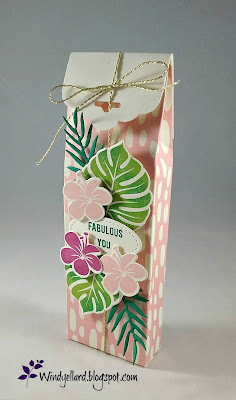 I choose to do some washi tape but I buy it and never use it. Mostly I forget about it. catalog called Year Of Cheer Specialty washi. would work great on tags. I think I used a little on tags. I added the three of them to the bottom of the white background. in gold and same with the sentiment. 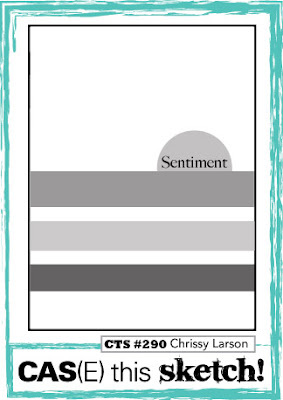 and the sentiment from the Alpine Adventures set. 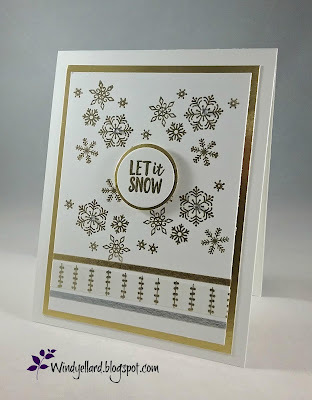 I added gold foil behind the background and layered it on the white base. with the rhinestones on some of the snowflakes. for the Ink Big Design Team this summer. 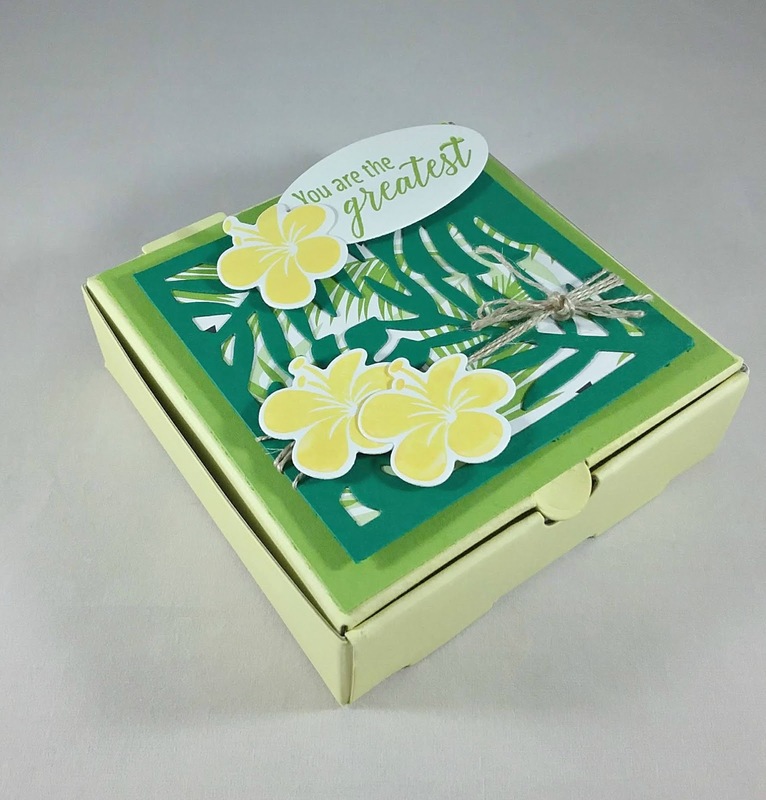 These boxes can be themed and go for any season. leafy print from the Tropical Escape DSp. and cut with the matching dies. 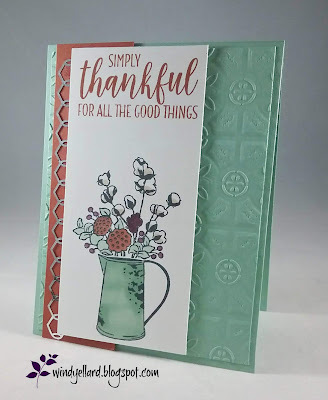 stamped in Granny Apple Green on white and cut with an oval die. you could design it for soon. Have a wonderful day and thanks fort stopping by! detail scallop border from the Detailed Leaves dies. Crushed Curry and Cajun Craze. Mossy Meadow behind and on a Very Vanilla base. But a sat and struggled what to add next. 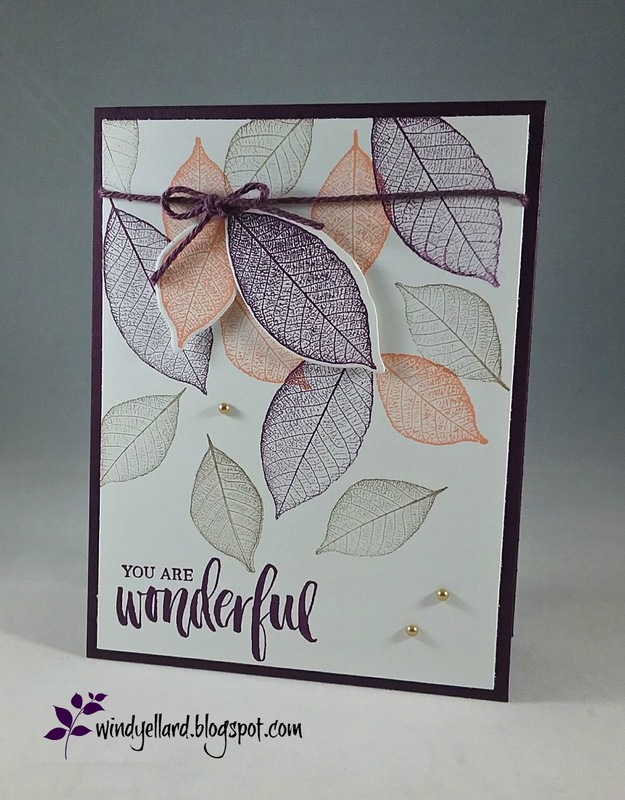 stamped a few leaves from Falling For Leaves set. I like how it finalllllly turned it! I started this fun sketch with picking my DSP. I grabbed some cotton print from the Country Lane DSP. I added it to Whisper White card stock and then a Mint Macaron base. I also added the copper foil strip down which give it some bling. Whisper White stitched circle in Memento Tuxedo Black. and layered a pearlized doily behind to finish it off. which is already on the way to my mom! 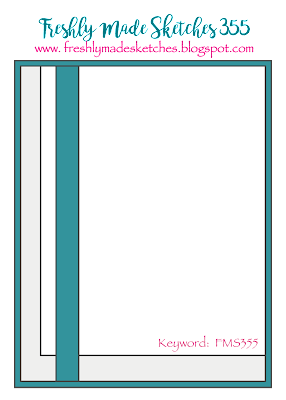 when this white space as I case Kerstin's card. and cut it with the matching die. 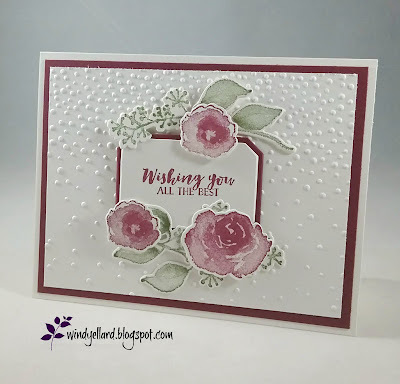 Cherry Cobbler Stampin Blend marker. I cut the end to make the banner with a banner punch that is retired. layered it a piece of Mossy Meadow and then a white base. 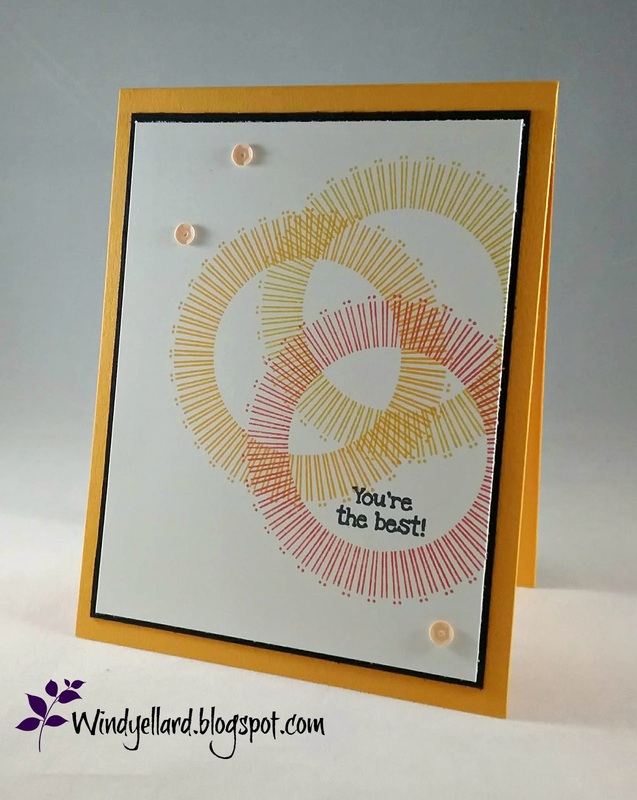 Simple thinking of you card. over at global-design-project.com this week. for the retired fall paper and the retired Chocolate Chip card stock. home their class cards this week. in Chocolate Chip and retired Tangerine Tango on the fist box. I used Cajun Craze and Mossy Meadow for the second box. A rhinestone in the center finishes them off. score on short side 5.25" and 7"
score on long side 1.75" and 6.5"
DSP cut- 3.75" by 4.5"
This was a no brainer! that I must use the First Frost bundle! water colored with Balmy Blue ink and my aqua painter. I layered it on a piece of Highland Heather card stock for the base. and the two small ones in Highland Heather. were cut with the matching Frosted Bouquet dies. I also used the dies to cut a white and two Powder Pink filer stems. stitched white oval with a strip of Tranquil Tide trim behind. 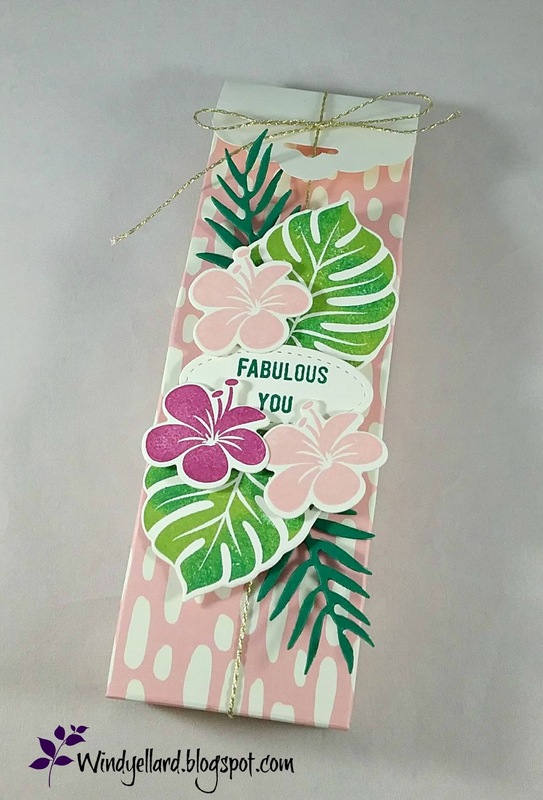 sweet bouquet kind of card! for this 5th class card today. 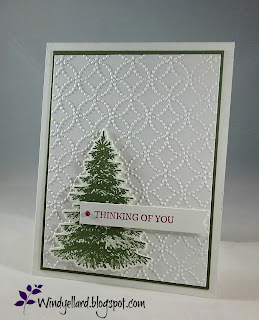 Here is my first card: I stamped it in Merry Merlot and Mossy Meadow ink. 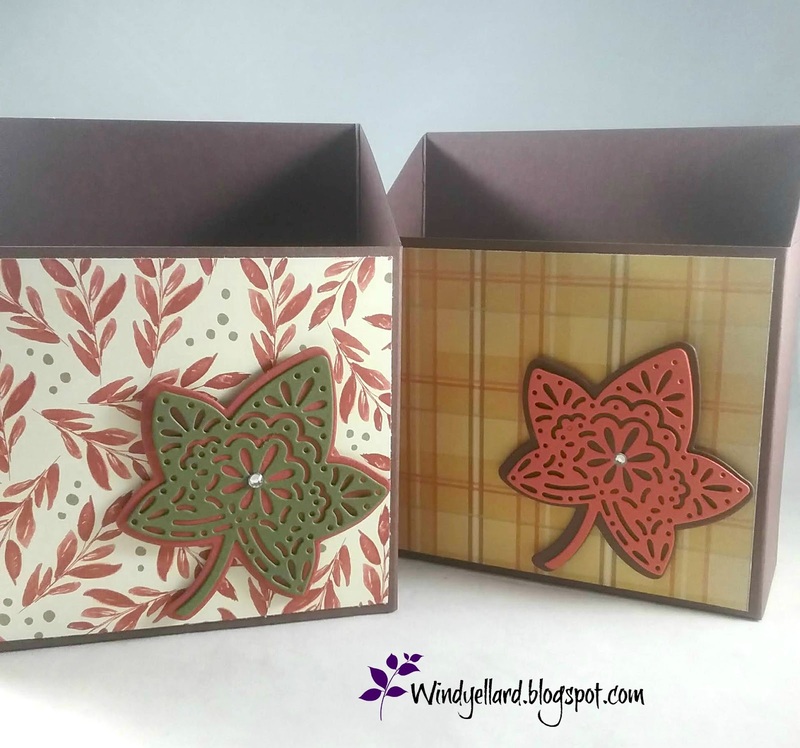 matching dies called Frosted Bouquet. The sentiment is the same in Merlot ink and Merlot card stock behind. 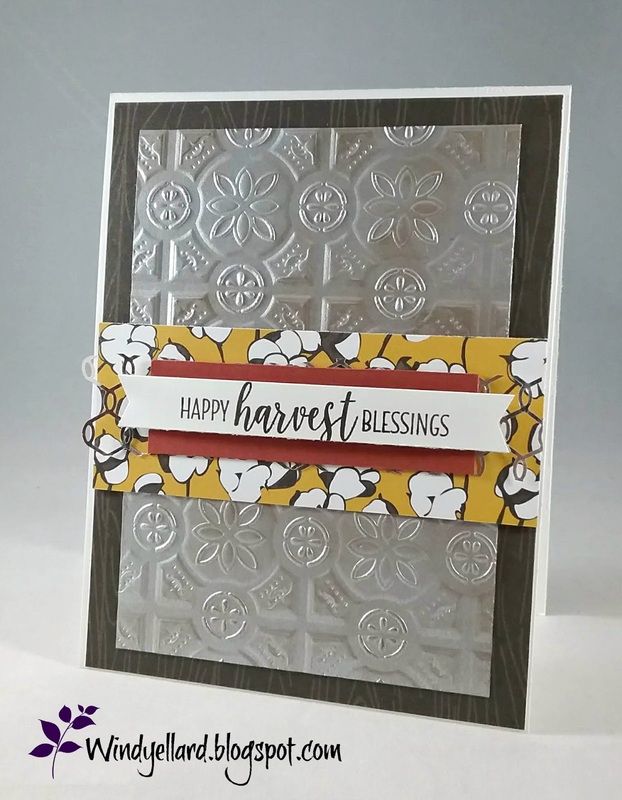 with the Softly Falling embossing folder. 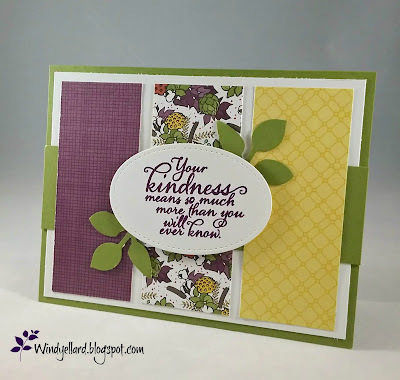 I also added the Tranquil Tide trim behind the sentiment for a little more color. This sentiment is great for almost any occasion. 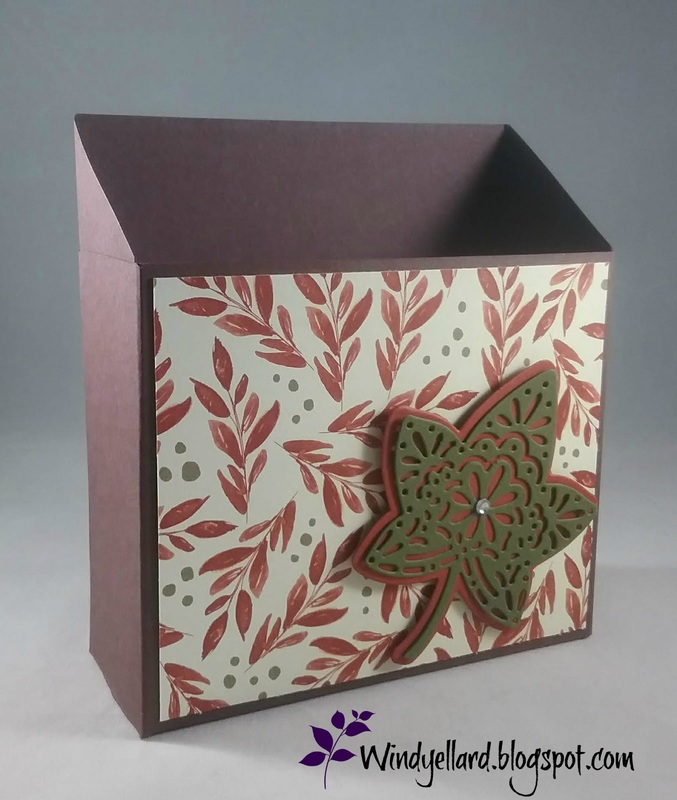 for classes this week from the Rooted In Nature set. I was having a hard time on how I wanted to display them. by Satomi Wellard in Japan/Australia. Grapefruit Grove and Soft Suede. them on with the Blackberry Bliss twine and bow. 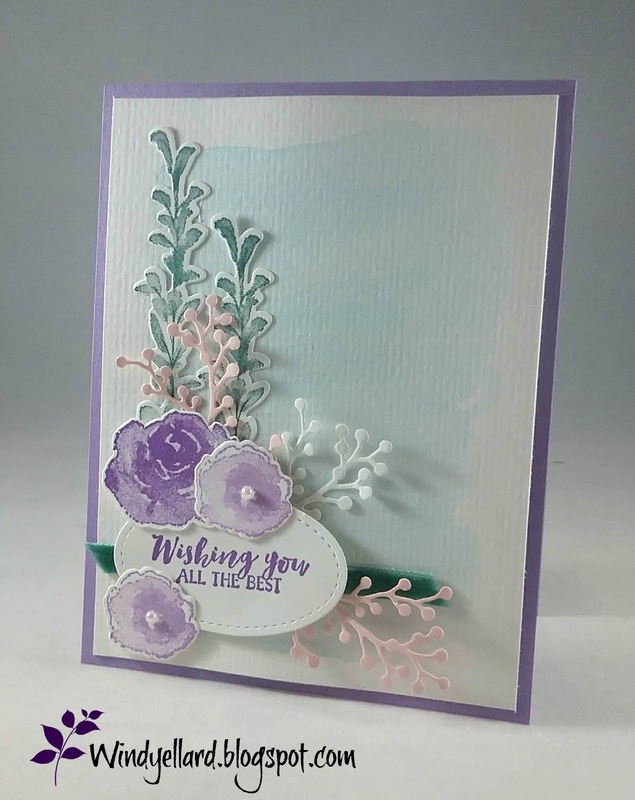 and layered it on the Blackberry Bliss card base. I finished it off with some gold pearls. 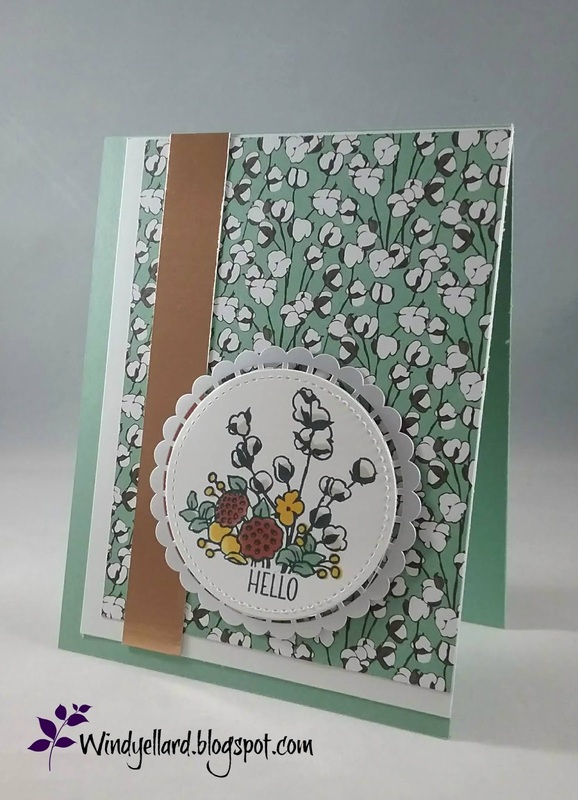 Love the Tin Tile folder in Mint Macaron for this third class card. After running it through the Big Shot I layered it on the same the color base. I added a Cajun Craze strip with the fun chicken wire foil. 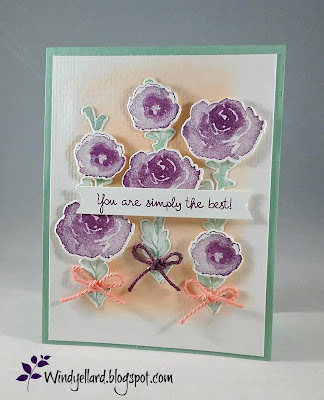 and colored in with my Stampin Blends markers. the top in Cajun Craze. 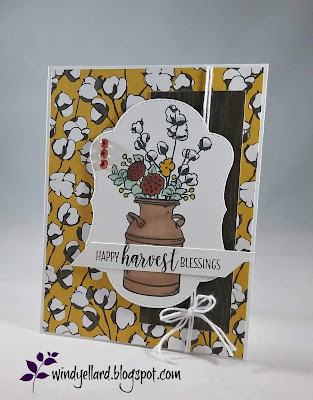 Second card for classes this next week with the Painted Harvest set. last some Call me Clover leaves. ran through the Big Shot with the Pinewood Planks emboss folder. and added a Clover oval behind. All was layered on a Vanilla base. Love this card! Hope my class next week does, too! 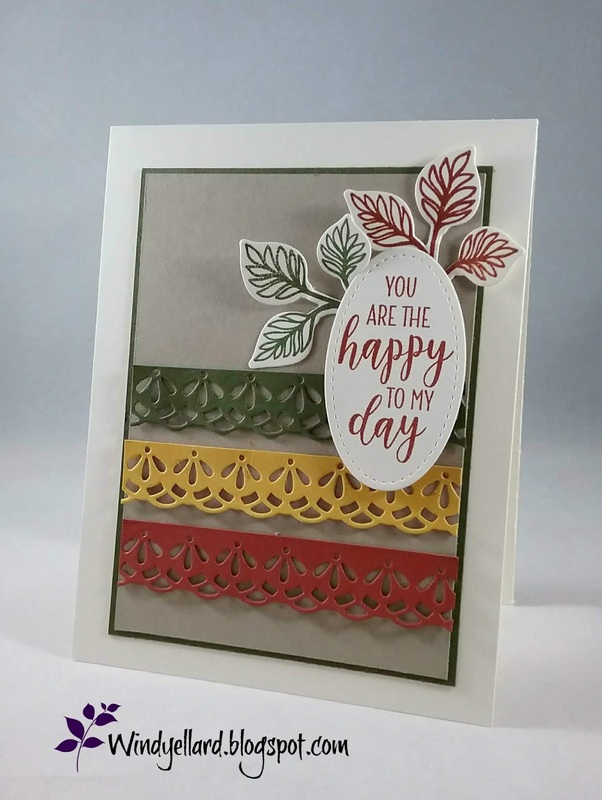 I did a little casing from the Holiday catty for the first card class card. I cut the detailed leaves in Rich Razzleberry and Curry Crushed. and used the copper emboss powder to heat emboss. layered on a piece of Blackberry Bliss card stock. On the Pumpkin pie base, I stamped the leaf image on the edges. with a few cross snips. I pulled the Colorful Seasons set and grabbed the two solid leaves stamps. with my reinkers.-Fresh Fig, Cajun Craze and Crushed Curry. 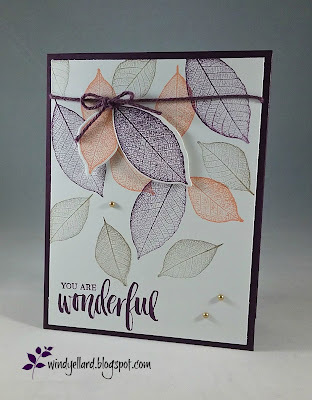 I stamped the leaves on the white background. I like how some of the leaves were not perfect..as leaves usually are. I added the background to a piece of Crushed Curry card stock. 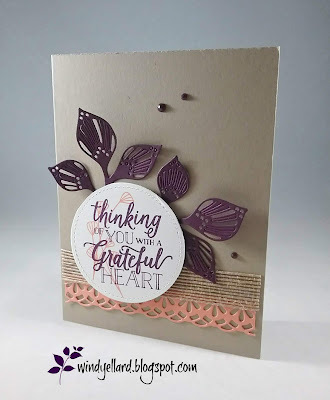 I added it to the Fresh Fig base and then a piece of Fig across the card. I stamped the sentiment on a strip of white using the wipe pad. I thought of these leaves with Crumb cake behind. 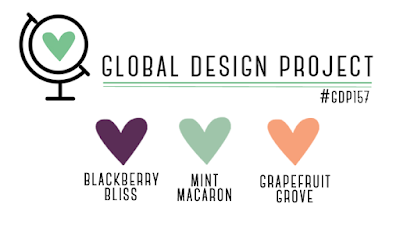 I choose Grapefruit Groove for the color of choice. I cut the detailed leaves in three colors and the solid in Crumb Cake. Timeless Textures set in three of colors. The sentiment from the Falling For Leaves set is stamped in Blackberry Bliss. All was added to the Blackberry base. 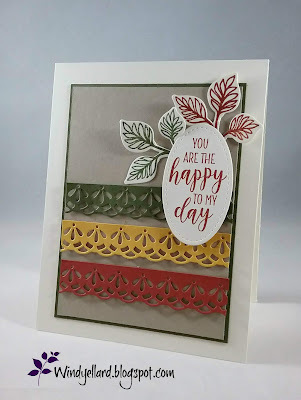 Fun card and color challenge! 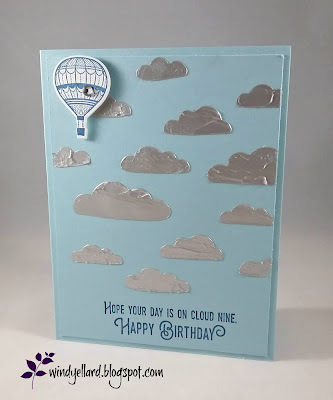 I decided to go for both challenges with the clouds and the birthday sentiment. Yes, my clouds are very textured! them on a piece of Balmy Blue card stock. 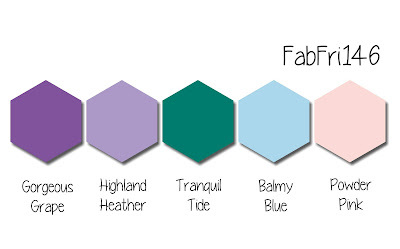 I layered them on a Balmy Blue base. and the small balloon is from the set as well with Blueberry Bushel ink. I used the matching dies from the Up & Away thinlits dies. I quick rhinestone finished it up. Thanks for stopping by and have lovely day on cloud nine! 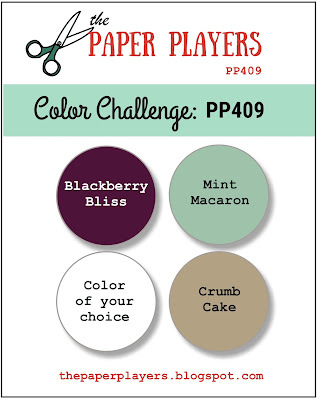 a piece of white card stock then a Blackberry base. I then had no idea what I wanted to do so sat staring for a long time. what color i would do with the white and Blackberry. and heat embossed the sentiment in white emboss powder to finish it off. Oh, wait I did add a pearl to really finish it off. 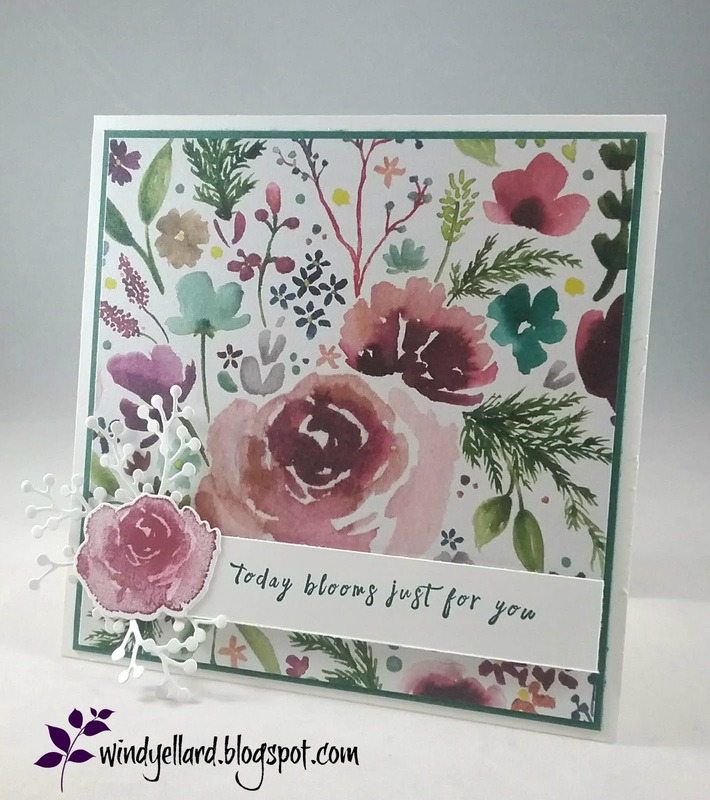 in Blackberry bliss and the flower stem in Grapefruit Groove. I cut the stems out in Bliss card stock and did not poke all the holes out. burlap trim to it. All layered on the Crumb Cake base. 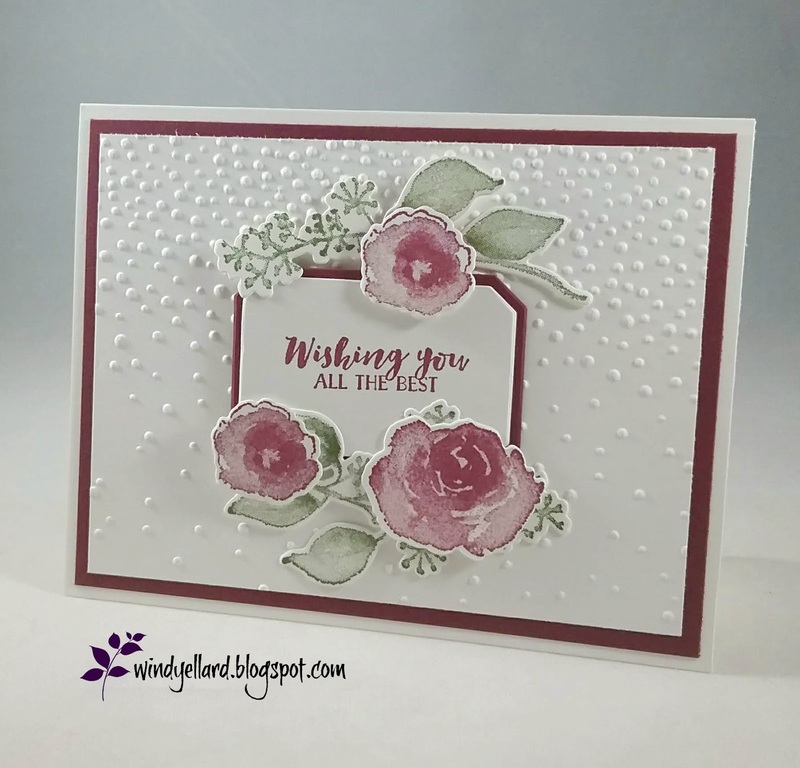 A few rhinestone in bliss finished off the card. I like the natural look with pops of fall like colors. 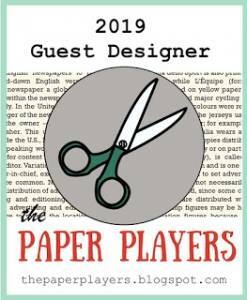 This paper is gorgeous and it was hard to cut into it! I want to hoard it like crazy! Blushing Bride ink over it with a sponge dauber. 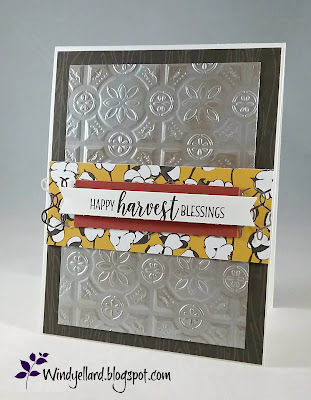 I cut it with the matching die and cut some filler in white also. 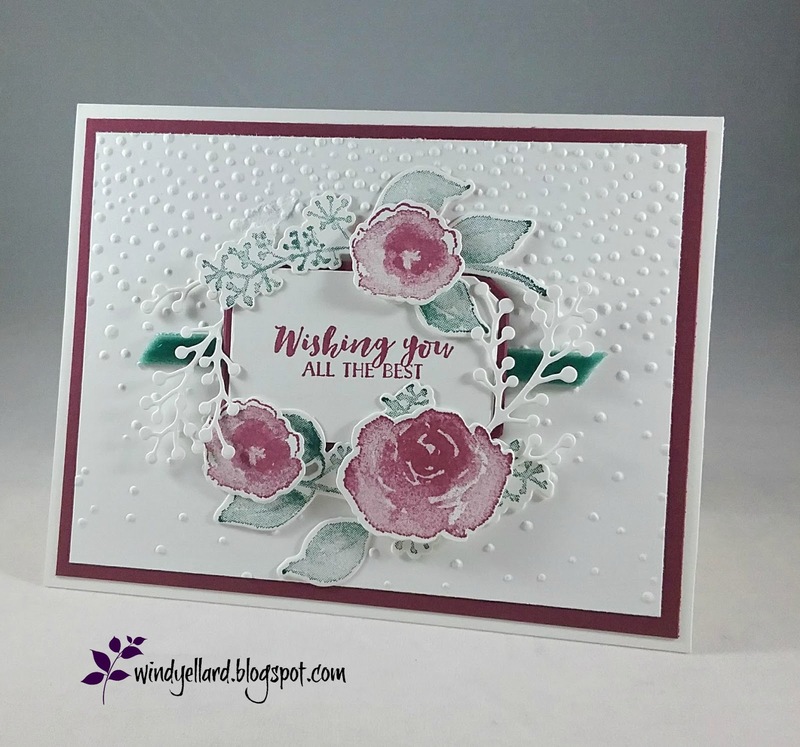 in Tranquil Tide from the Perennial Birthday set. 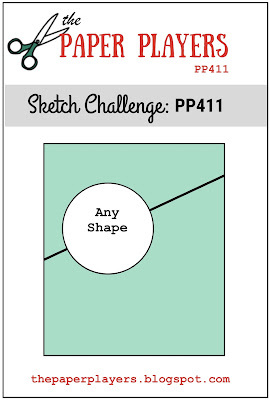 to play along with this sketch challenge. 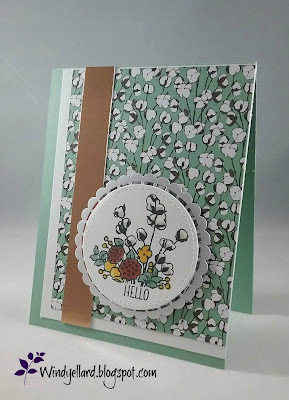 I try different ideas as I am designing my cards for card classes. Here I made two different cards before I decided I was going another direction. both Bliss and Grapefruit Groove inks. 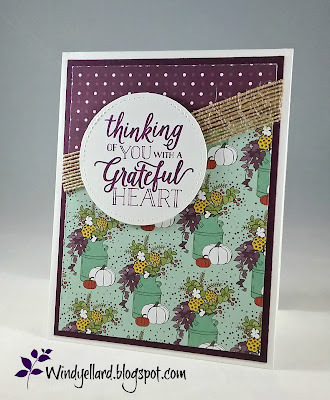 sentiment in Bliss and cut it with the Stitched Season label die. I added a Grapefruit twine and bow to finish it off. 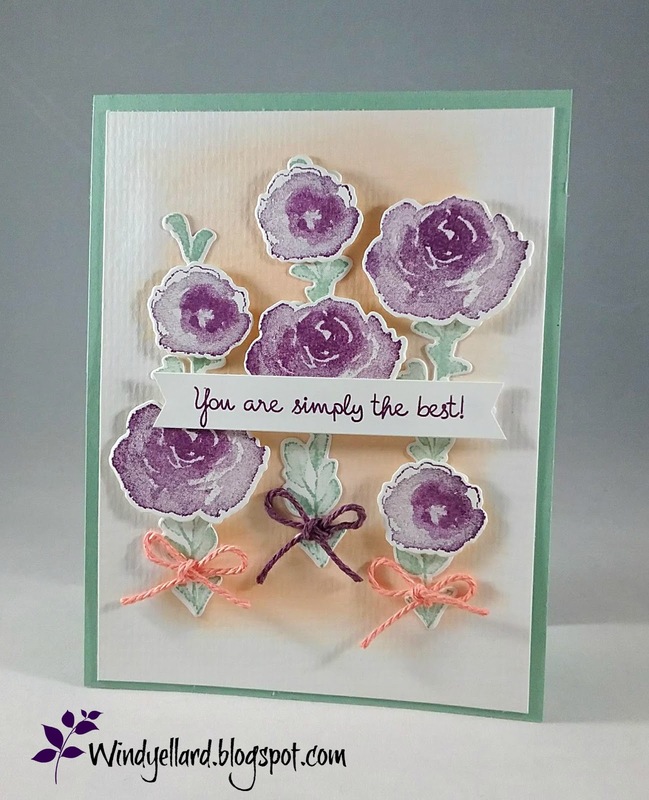 Second card I used the same color base and same for the sentiment. but it does not show up here. and the fan leaves in Grapefruit Groove. I added it all on a piece of Sahara Sand with two corners rounded. I finished it off with a Bliss twine bow. but I was not satisfied with either for class. and a half from now. 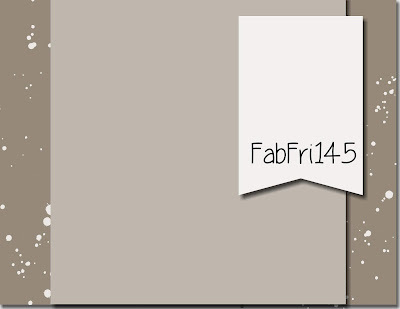 Love this print as a background! I layered on a white base. Both prints from the Country Lane DSP. set in Memento Tuxedo Black ink. 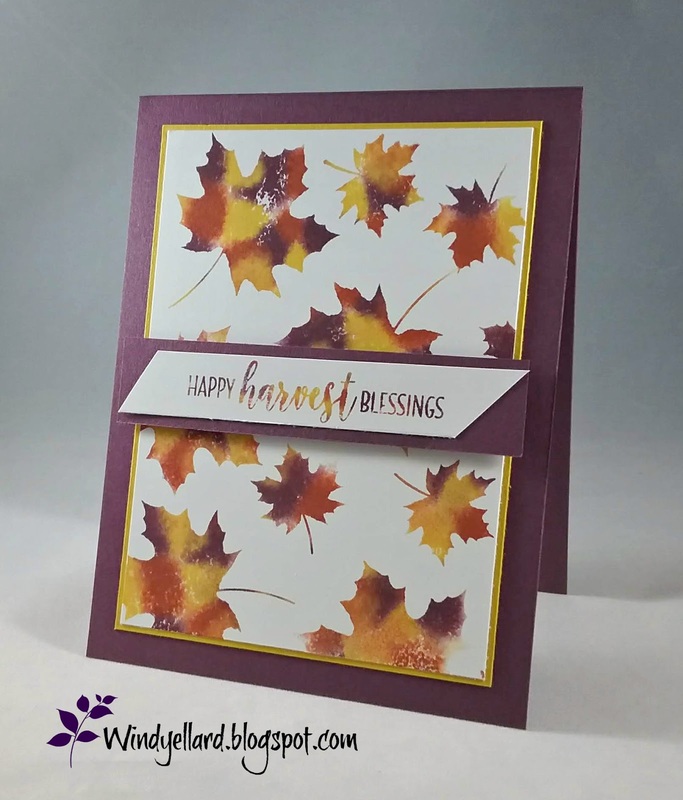 and cut out with the Stitched Seasons label die. in Early Espresso ink and snipped the ends. to look like the banner element in the sketch. I must remember to use this sketch either direction again. 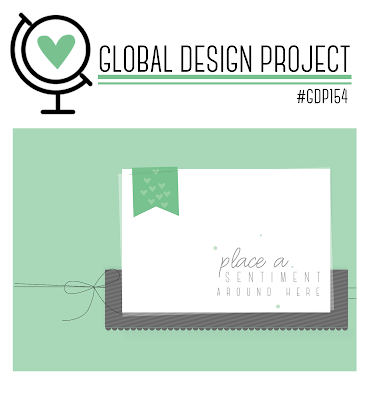 Play along over at Global-design-project.com this week. my kit cards from the Soft Saying card kit with the gray stripes. 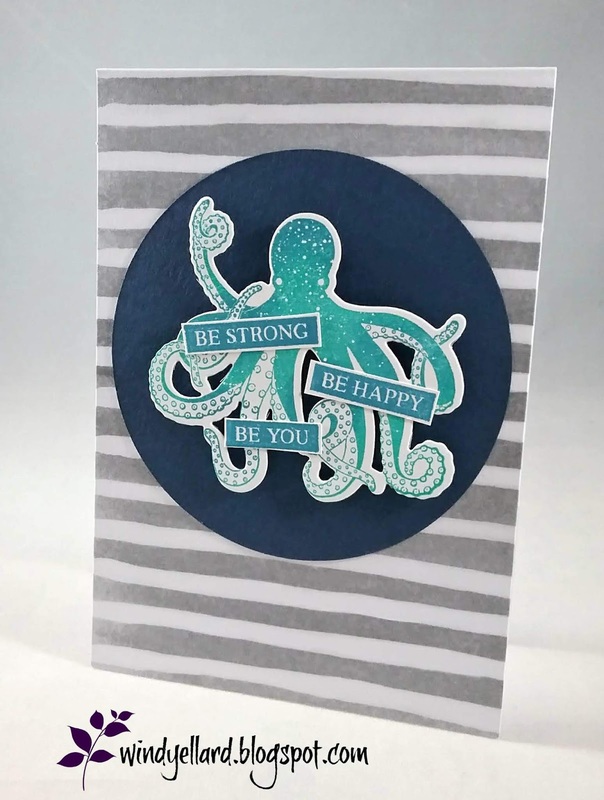 to layer Harry The Octopus on with sentiments. before stamping him on white card stock. I cut him out with the matching die from Under The Sea dies. in Pacific Point ink on white card stock and hand snipped them out. Fast and cut card for any awesome person in your life! DSP in any color at any time. over it and rubbed the image on...gets best results this way! I layered it on a piece of Bliss card stock for the base. County Home stamp set in Bliss. and added a Bliss twine bow to finish it off.